Our people is what separates Ridgehead from the competition. Ridgehead Software is a virtual company of veteran developers who are cross-trained on multiple projects, clients, and technologies. We are a strengths-based organization focused on maximizing the potential team members in order to deliver outstanding customer satisfaction. We work on custom development projects, with our forte being in the content management, call center, ticketing platform space. 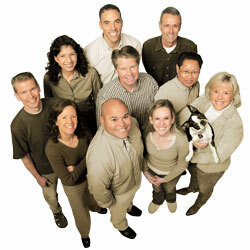 We are a small & focused group of individuals with a balance of on-and-off-shore dedicated talent. Our team specializes in content management systems (CMS) and we have in-depth experience with everything involved in launching websites including software & mobile applications, QA, testing, and technical support. We are a personable, highly responsive team that provides around-the-clock support in meeting your specifications and business needs. Ridgehead can provide blended pricing and has a strong mentoring program with a team that constantly learns, grows, and evolves in its customer service and product delivery. Our off-shore development team is located in India, with additional resources located in the United States. This allows us to provide competitive blended pricing to our clients and allows for easier around-the-clock support for our client systems. Click here to read more about how we setup our off-shore development team. It was a great learning experience!